I am in love! In love with what? 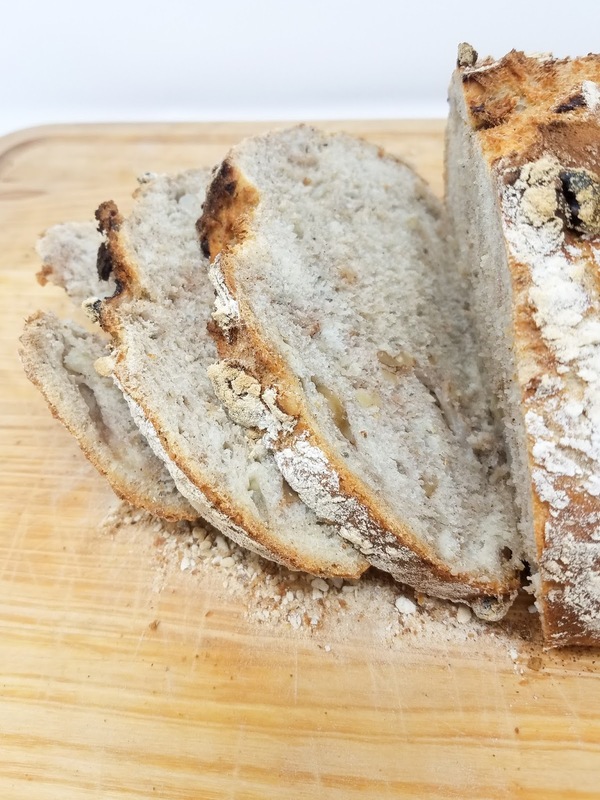 The slightly sweet tang of pear and crunchiness of walnut that you taste when you take a bite out of this bread. Love. Love. Love. Try it out my friends. You won't regret it. 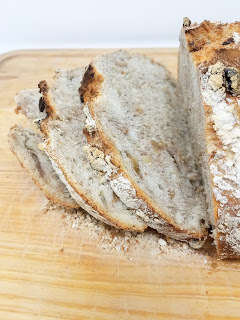 This recipe like many of my other bread recipes requires a cast iron pan (containing boiling water) to be used under the tray used for baking the bread. Following this technique is a good idea as you will get a soft and moist bread with a crunchy crust! 1. Combine water (about 110 degrees - the temperature of bath water) with yeast and let set for 5 minutes to get foamy. If your yeast does not get foamy, this means your water was too hot and/or that your yeast is no longer active. 2. In a large bowl, combine the all purpose flour, salt, and cinnamon. Mix the dry ingredients well. 3. Add in the foamy yeast water and knead the dough until thoroughly mixed. 4. Add in the diced pear and walnuts. Knead for another five minutes until thoroughly mixed. 5. Cover the bowl with plastic wrap and let the dough rise in a warm place for 1 hour. 6. Once the dough has doubled in size, lightly sprinkle the dough with additional flour and transfer to a generously floured work surface. Knead the dough a few times and add flour or water as needed (such that the dough is slightly tacky, but I would not mess around with the proportions of the current recipe too much). 7. Roll your dough into a ball and place on a baking sheet. Sift a light coating of flour over the top to help keep the dough moist. Let the dough sit for 5 to 10 minutes. 8. Preheat your oven to 450°F, fill a metal or cast iron pan (not glass, Pyrex, or ceramic) with the 4 cups of water, and place on the lowest oven rack. 9. 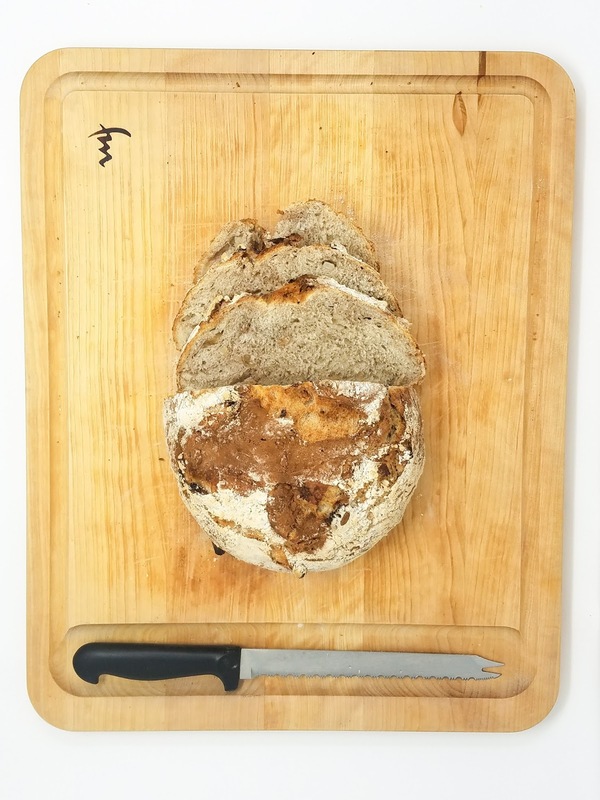 When the oven is ready, slash the bread 2 or 3 times with a knife or blade, making a cut about 1/2 inch deep. *If desired, sprinkle cinnamon in the slashes for the "look" seen in the pictures. 10. Place the bread tray on the middle rack, above the rack with the pan now containing boiling water. Close the oven door quickly. 11. 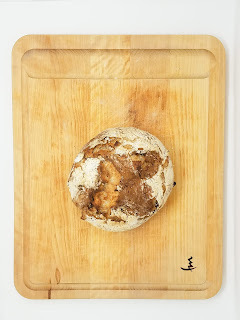 Bake the bread for 35-45 minutes or until golden brown and crusty. 12. Remove the bread from the oven and cool. Enjoy! Once fully cooled, store leftovers in a plastic bag at room temperature.